This fun winter themed quilt is sure to delight! 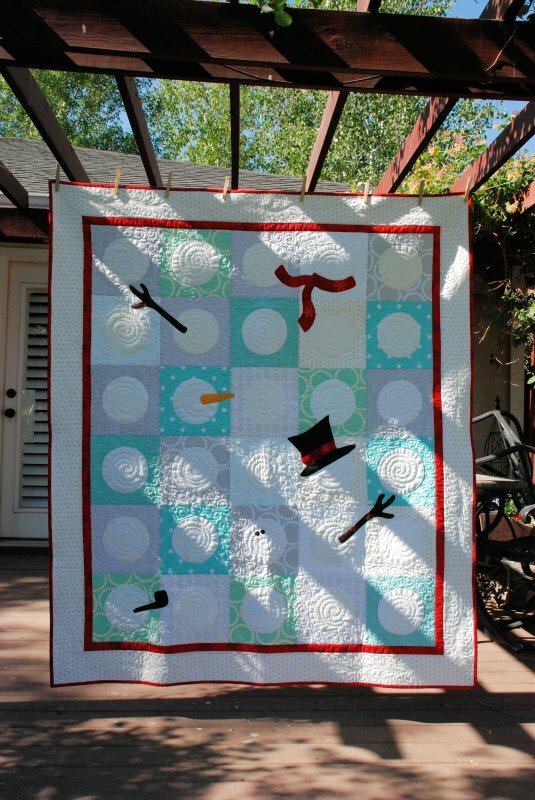 Can you find frosty in this quilt by Sharon Gray? Includes: pattern, instructions, and color photograph. Finished size is about 55 1/2" X 64 1/2"